Today we made a visit to Ama Dablam base camp. The weather was very good and it was a nice hike. 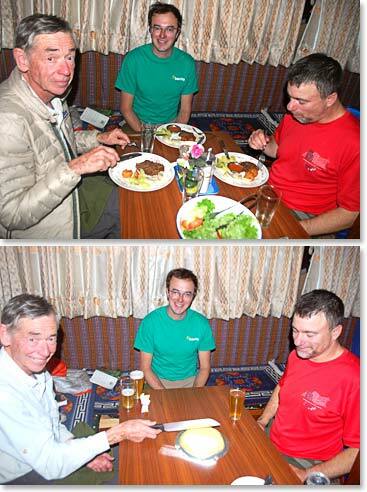 When we returned to Pangboche Yangzing cooked us a nice dinner with fresh salad and cheesecake for dessert. 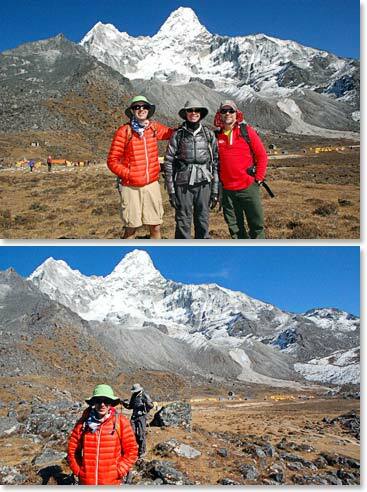 We had a great day in Pangboche. 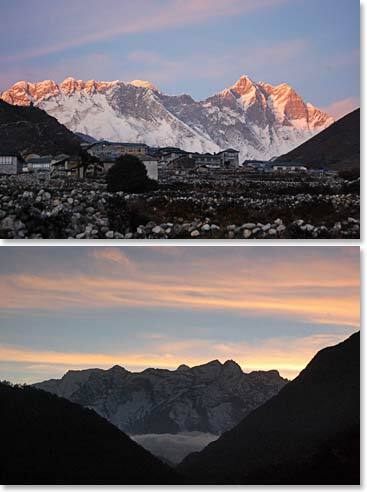 Tomorrow we will hike down to Namche and visit our friends at the Panorama lodge. A delicious dinner Yangzing prepared with cheesecake for dessert!